Get your Artemide Tizio lamps on sale at the guaranteed lowest prices from Stardust. Click on the pictures above for more detailed and larger Tizio images. 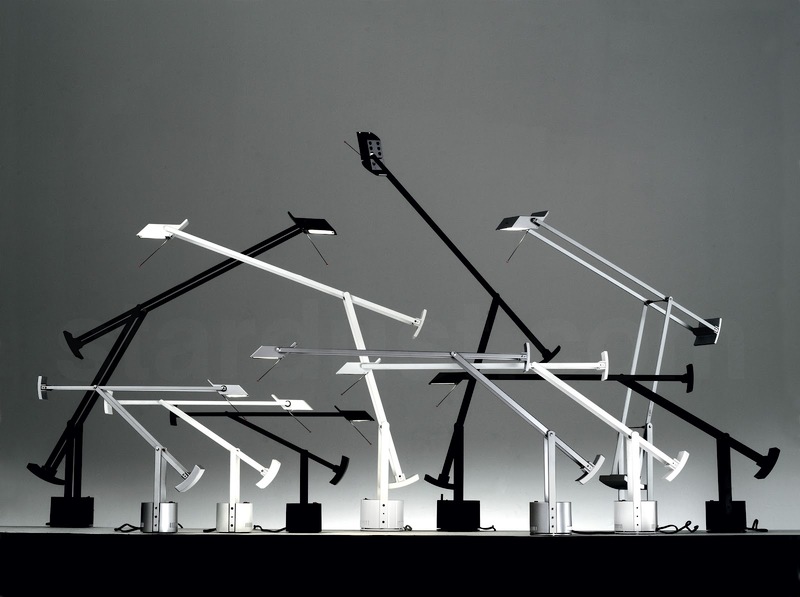 In 1972 Sapper designed the iconic Tizio desk lamp for the Italian lighting company Artemide, one of the first desk lamps using halogen bulbs with low-voltage current conducting arms to eliminate the need for wires. 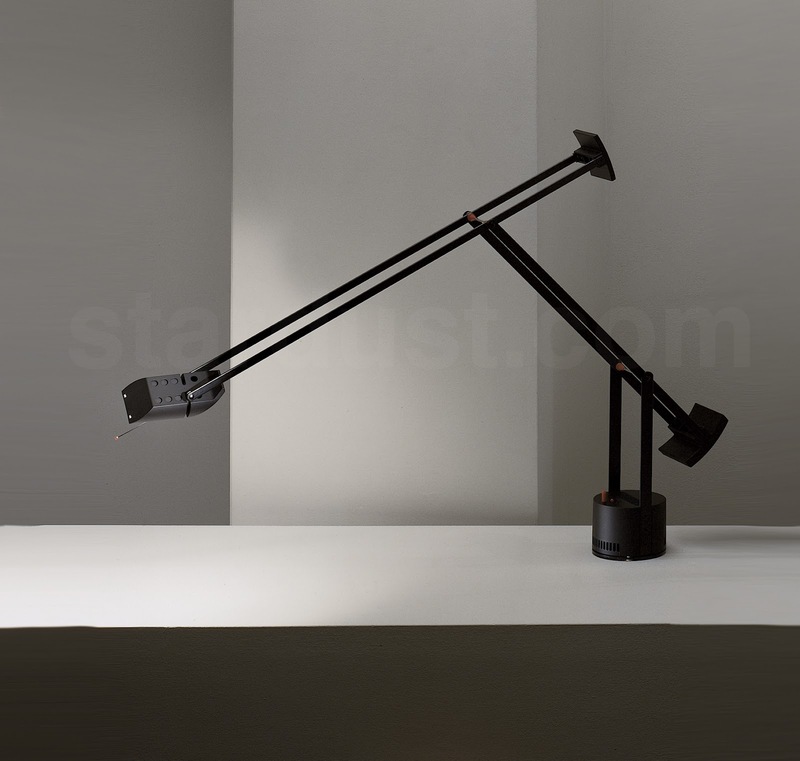 The Tizio desk lamp remains one of the best selling lamps ever produced and continues to be a popular Artemide lamp on Stardust.com. 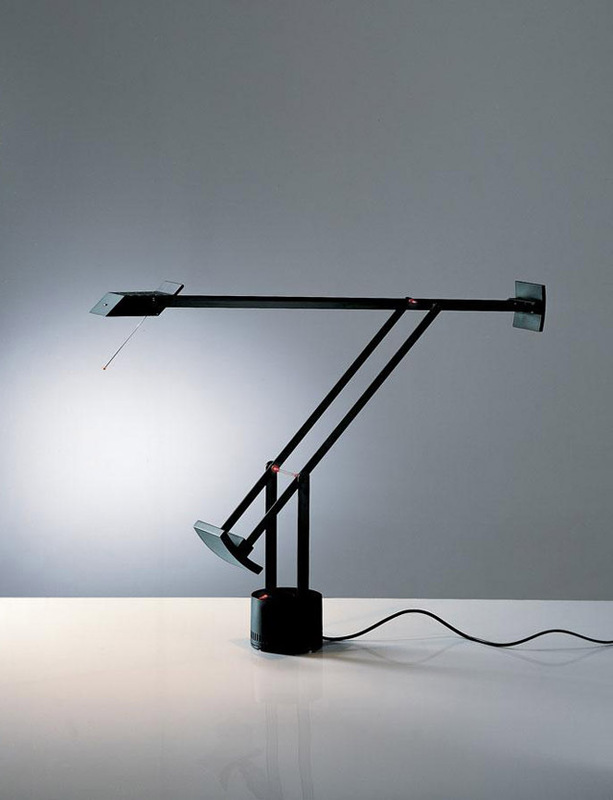 Tizio Desk and Task Lamp, designed by Italian designer Richard Sapper for Artemide. 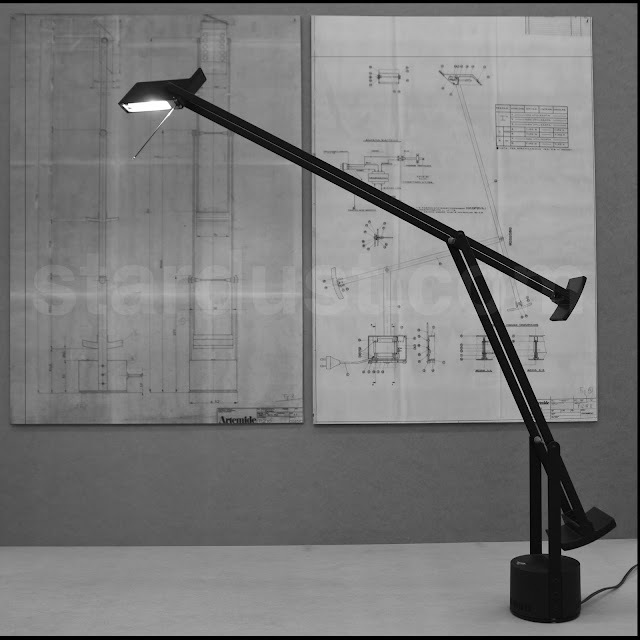 Richard Sapper's classic Artemide Tizio Desk Lamp is without a doubt one of the most famous modern design lamps by Artemide. This unique and functional construction of the Tizio, as beautiful as it is practical, has been integrated perfectly in various places for everyday use since the 1970s until now, while at the same time being one of the major showpieces in many important design museums all over the world, amongst others the Metropolitan Museum of Art in New York and the Museum of Modern Art in New York. It is perhaps the most perfect desk lamp as it can be used in any demanding business environment or home office. Tizio. Tizio, a practical classic in the world of design. Tizio is practical, aesthetic and stylish. This unique registered trademark by Richard Sapper for Artemide has been a success since 1972 and is still very popular today. 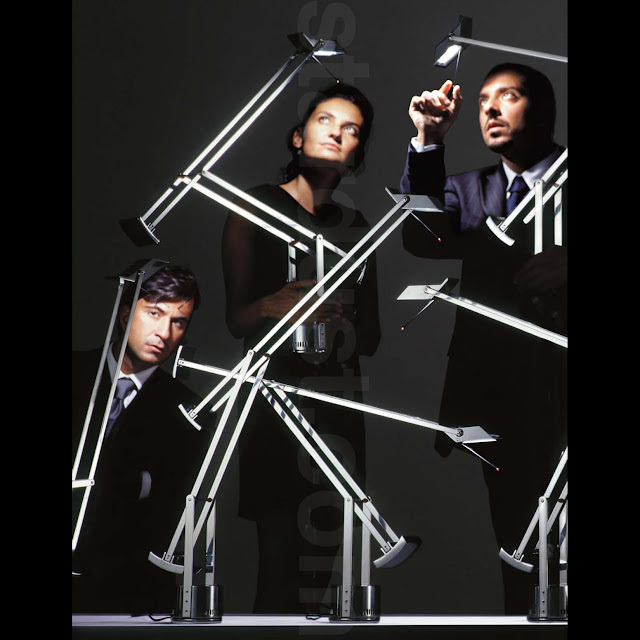 Tizio has been an icon of Italian modern design lighting for 40 years now. One of the Artemide Tizio lamp’s biggest advantages is its smart and inventive construction with counterweights that balance the desk lamp according to your preferences. Isn’t that after all what everyone expects from a desk- or worktable-lamp? A transformer in the lamp base avoids the need of electrical wires. So Tizio doesn’t take much place on your desks, while nevertheless providing direct lighting. The halogen lamp may be a common light source nowadays, in the 1970s however Sapper’s choice for the halogen lamp was revolutionary. The light source is one of the reasons that Tizio is still practical and modern. Tizio has become a symbol of design and timelessness worldwide. Tizio is practical in use, aesthetic and durable. Order Tizio safe and easy online at Stardust.com. You can admire Tizio in various design museums all over the world, but of course you prefer your very own practical Tizio on your desk or worktable. Buy Tizio at the guaranteed lowest price at Stardust and receive complimentary free shipping within the US. Artemide's Tizio Lamp exists in several color choices, select either white, black or aluminum. Richard Sapper Biography: Richard Sapper was born in 1932 in Munich, is one of the leading German industrial designers based in Milan, Italy. He is considered one of the most iconic designers of his generation, his products typically featuring a combination of technical innovation, simplicity of form and an element of wit and surprise. Richard Sapper He has received numerous international design awards, including 10 prestigious Compasso d'Oro awards and the Raymond Loewy Foundation's Lucky Strike award. His products are part of the permanent collections of many museums around the world, with over 15 represented at New York's Museum of Modern Art (MoMA), as well as London's Victoria and Albert and Design Museums. After beginning as a designer in the styling department at Mercedes-Benz, Sapper relocated to Milan in 1958 where he initially joined the offices of architect Gio Ponti and subsequently the design department of La Rinascente. In 1959 he partnered with Italian architect and designer Marco Zanuso, a collaboration that would last on and off for 18 years until 1977. The pair were hired in 1959 as consultants to Brionvega, an Italian company trying to produce well-designed electronics that would compete with products manufactured in Japan and Germany. 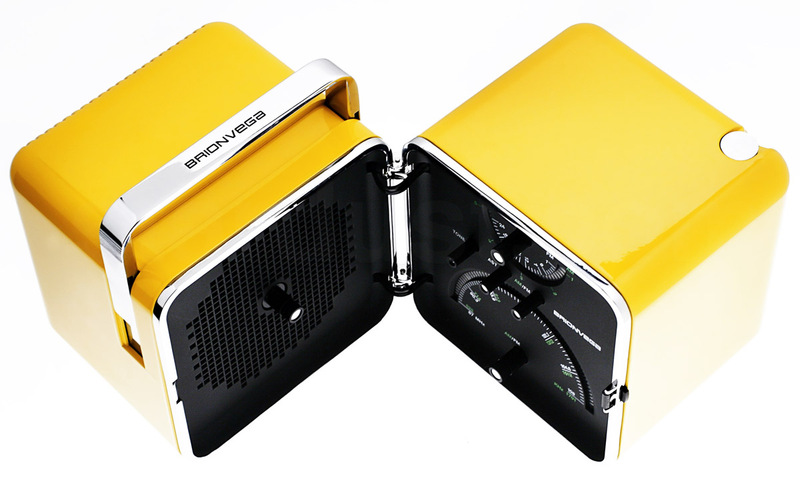 Together they designed a series of radios, televisions and other consumer electronics that became enduring icons. 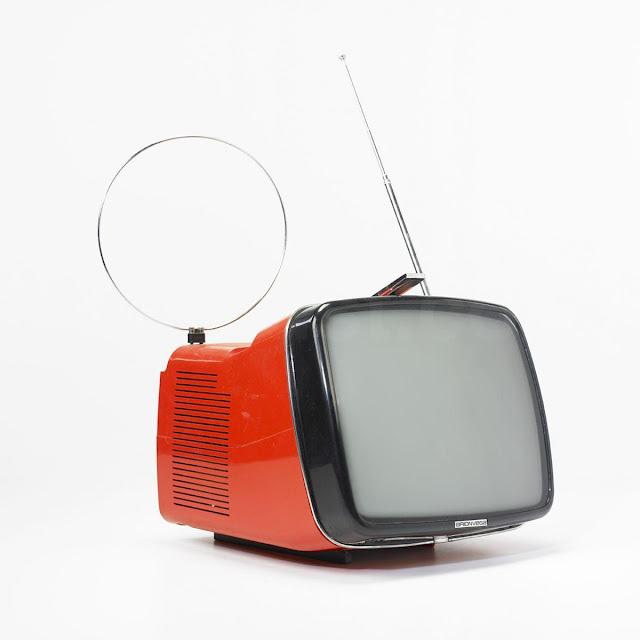 Amongst their more notable designs were the rounded, compact and portable Doney 14 (1962), the first television to feature completely transistorized construction, and the radio TS502 (1965), a rectangular box with hinges that upon opening reveals speakers and controls. Using the aesthetic of sculptural minimalism, they created the compact folding Grillo telephone for Siemens and Italtel in 1965. The Grillo was the first telephone featuring the flip-down mouthpiece, a precursor to the clamshell designs of today's mobile phones. 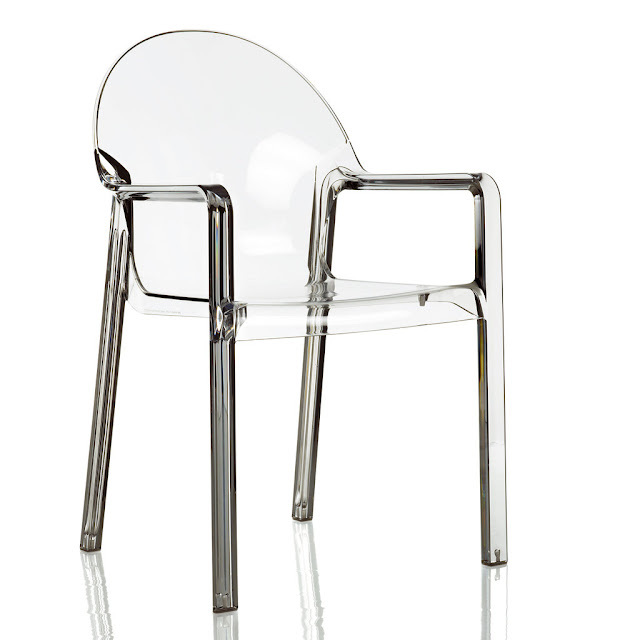 In 1964, Richard Sapper and Marco Zanuso designed the lightweight K1340 stacking children's chair for Kartell, the first chair produced entirely in plastic. Upon starting his own independent studio in 1959, Sapper designed the Static table clock for Lorenz, which won him the first Compasso d'Oro prize and is still in production today. In 1972 Sapper designed the iconic Tizio lamp for Artemide, one of the first desk lamps using halogen bulbs with low-voltage current conducting arms to eliminate the need for wires. 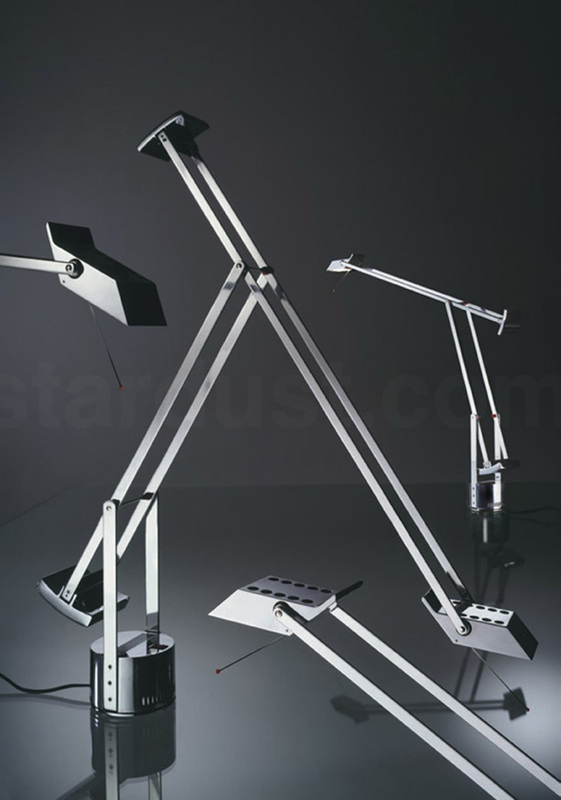 The Tizio remains one of the best selling lamps ever produced.